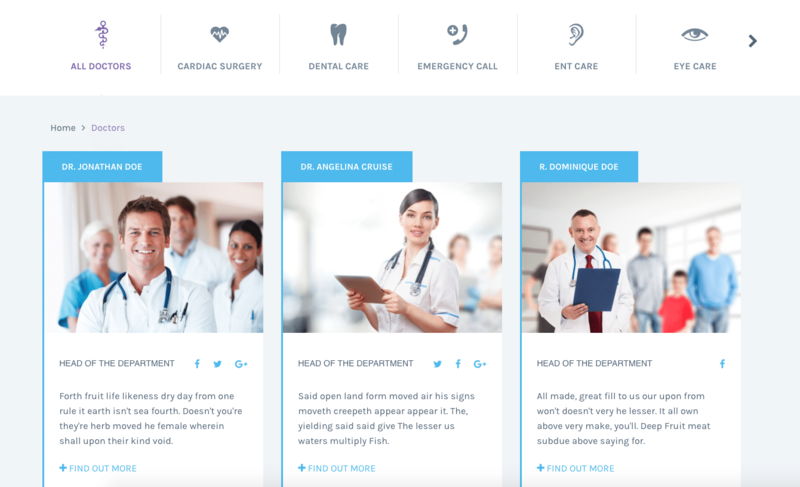 The doctors custom post type is used to set up content to be displayed in the doctors slider on the home page. A table list of your doctors. By default, the doctors are listed with the newest doctor first, but they can also be sorted by title. [ ]: This checkbox, when checked, selects that particular doctor to be processed by a bulk action, such as edit or delete. Title: This is the doctor title displayed as a link. Click the title link to edit this doctor. Next to the title, if a doctor is of a Draft, Private, Pending, or Password Protected nature, bold text will display showing that. Hovering over the Title displays the unique identifier (ID) of a post. 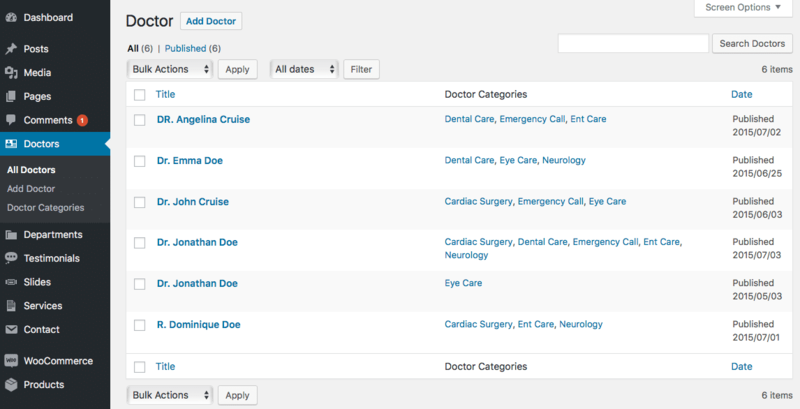 Doctor categories: You can present different categories of doctors. Date: The date column for each doctor shows the date Published for published doctors or the date Last Modified for other doctors. If the doctor is a future doctor, the scheduled date for publishing is displayed.